CLOSE-UP OF A COWBOY PUTTING A TOOTHPICK IN HIS MOUTH. hd00:11Sad face teenage girl looking at camera, close up portrait of beautiful young depressed unhappy serious sitting on a couch. sd03:151930s - Djokjakarta in the Dutch East Indiesin the 1930s. 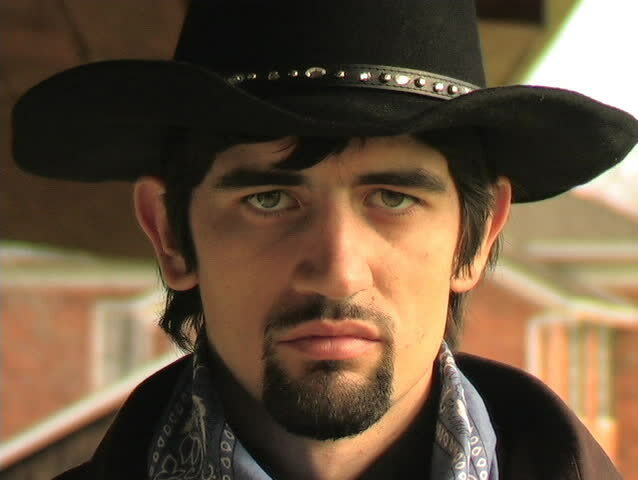 sd00:13A COWBOY ENTERS THE FRAME AND GIVES AN INTIMIDATING STARE. sd00:17A COWBOY LEANS AGAINST HIS POST AND TAKES A DRINK.